We are facing a climate crisis, and we have a moral responsibility to take action by finding ways to move away from coal, oil, and gas, and towards a clean, safe, and renewable energy future. The European Union is trying to do just that, and the Canadian government should redirect its efforts towards cleaning up its own act, rather than trying to prevent Europe from doing the right thing. Fuel experts from the European Union have decided that the important decision to label high-carbon fuels (including tar sands) should be passed onto publicly accountable elected ministers. This probably wasn't a bad idea -- now ministers who have promised to take action on climate change will be more accountable as to whether they will listen to science, or instead bow down to Canadian and industry lobbyists. The European Union Fuel Quality Directive (FQD) is part of the EU's suite of climate policies. This particular policy is designed to reduce emissions from transportation fuels by six per cent by 2020, and is a critical part of getting the EU to its climate goals. Over the course of the morning, reading news stories and releases, I have been surprised at the serious misinformation that has been floating about the online news world. With such a precedent setting policy under the microscope it seems important that at the very least we have the facts straight. Rumour: This policy gives tar sands a label that is by far dirtier than any others. Fact: Actually, the tar sands did not get "by far the dirtiest" label. There are a number of carbon intensive oils listed in the policy including coal-to-liquid and shale oil that both have significantly higher values than natural bitumen (tar sands). It must be made clear that this policy does not single out tar sands -- it identifies many of the highest polluting fuels, and it most certainly does not single out Canadian tar sands -- the label applies to 'natural bitumen' found anywhere in the world. Rumour: This policy is discriminatory and will be taken to the WTO. Fact: The policy is not discriminatory. In fact, if the tar sands were left out it would mean they were getting preferential treatment in a policy that is specifically designed to lower emissions through phasing-out highly polluting fuels or incentivizing them to clean up their act. The European Commission has experience with this, and they have done legal analysis that shows that this policy is on solid ground if Canada were to challenge it. Rumour: Canada is being targeted for its transparency in reporting its emissions. Fact: No, it isn't. The policy looks at "feedstocks," a.k.a sources of fuel, and assigns values based on the physical properties of those feedstocks. This has nothing to do with Canada being more transparent than anyone else. If anything, any additional transparency or monitoring done by companies in the tar sands works in their favour with this policy. If a company presents their data to the commission and can prove that they are doing better than the average value -- they will get their value changed. Not only does this reward those already making an effort to clean up their act, but it incentivizes others to do the same. It is important to understand that the numbers are not being contested; industry and government acknowledge that tar sands are more polluting -- to the tune of 23% above average conventional crude oils. Rumour: Coal, not oil sands, are the real problem when it comes to climate change. Fact: Yup, coal is bad. Guess what? So are tar sands. Climate change campaigns have not been ignoring coal; in fact coal is front and centre in many countries that burn a lot of it. Canada is in a different boat -- we have great initiatives in Ontario to phase out coal by 2015, and other provinces like Nova Scotia are also taking action to curb emissions. What we don't have are policies to deal with the pollution from tar sands. Tar sands are potentially hugely problematic for the climate. In a world where we need to avoid two degrees of global warming, extracting all of the available oil in the tar sands would kick us a lot further down that dangerous path. The point is that we need to be making moves to get off all fossil fuels. We are facing a climate crisis, and we have a moral responsibility to take action by finding ways to move away from coal, oil, and gas, and towards a clean, safe, and renewable energy future. The European Union is trying to do just that, and the Canadian government should redirect its efforts towards cleaning up its own act, rather than trying to prevent Europe from doing the right thing. As more and more countries begin to implement policies to reduce their emissions, we will see more policies like this, not less. 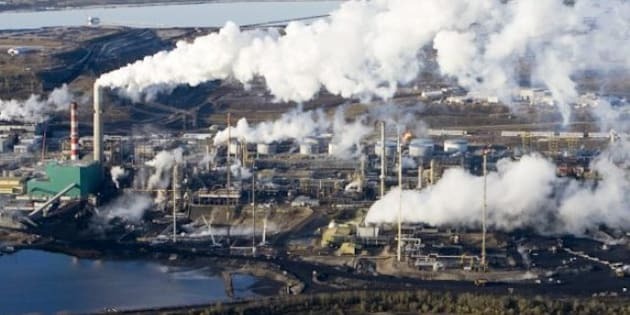 The Canadian government and industry would be much better off to spend their energy dealing with the tar sands, Canada's fastest growing source of greenhouse gas pollution (currently without any federal regulations), and finding ways to move towards cleaner energy. The era of reckless expansion of dirty oil should be over. We now know better. Canada needs to get in the game and stop dragging its reputation through the tar sands while the rest of the world leaves us behind in the race to a cleaner, and safer future.